Piet Moodshop sells a unique selection of items from the world of design, interiors and lifestyle. It is the place to go for unique decorative objects, items that add instant atmosphere to your interior, fun gadgets, some furniture and gifts for people you care deeply about or simply for some inspiration! We make our own very personal selection, with items from famous brands and smaller or start-up designers. And finally, we add new items to our range throughout the year. 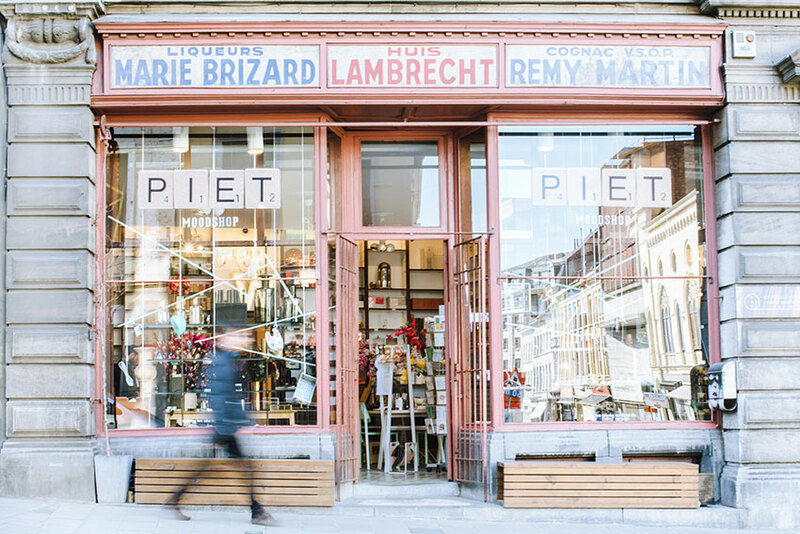 PIET Moodshop is owned by Christophe Verbeke. He is an interior designer who spent several years creating the decorative schemes for parties and events, providing the right atmosphere with a lot of passion and an unparalleled sense for aesthetics. PIET Moodshop is what Christophe likes to do best. 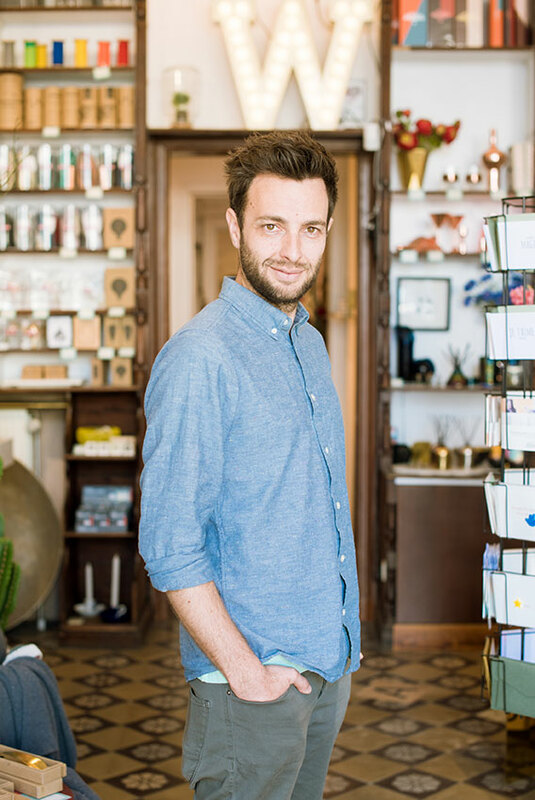 He has taken his passion for design and created a shop full of fun items with which he reaches so many people and makes them happy. So Christophe, what actually is a moodshop? I don't really think there is a definition. It's more of an ambition. I run a shop that makes people happy. Not just because you can find the right design item here, both for men and women, but mainly because the objects are also just nice to look at. In a sense, happiness is a by-product. A side-effect, which is thrown in for free. That is my opinion, because I only choose items that I like or find unique and my customers agree. Someone has actually gone on record as saying that he comes here and always feels happy and upbeat after having browsed my shop. So where do you get the inspiration for your collection? People often ask me this! Every year, I visit several Belgian and international design and interior design trade shows where I look over collections by several brands. But I'm also inspired by city trips, and finding fun design stores. And of course there is the Internet, blogs and Instagram. I often discover things that I like or find beautiful and which I think would work well in Piet Moodshop. I'm also assisted by my "Moodshop Buyers Club". This small group of people shares my vision and knows my store very well. I assess the collection with them four times a year. I propose new ideas and products to them and only add them to the shop's range when everyone agrees. It helps me avoid buying items that won't sell and ensure that I only have items that are guaranteed to be successful in my shop. And what about PIET, Christope? Who is this Piet? PIET is a part of Sint-PIETersnieuwstraat in Ghent. A part of the street opposite the Vooruit arts centre, in a historic dwelling. Originally this used to be a chemist. Afterwards, there was a lingerie shop before I opened my store. There are no traces of the lingerie shop but the old chemist’s shelving and drawers still define the general look and feel of this magnificent building. I hope we succeed in conveying this wonderful atmosphere to our virtual customers.